And lo and behold, while I am still not really a kale person, I am definitely now a crispy, crunchy, healthy-snacking kale CHIP person. Maybe you are a kale chip person too? Let’s make them!Side note: as I am typing this, my computer keeps auto-correcting “kale” to Kate.” Ha. So, you need a nice bunch of kale, which you are going to rinse and dry and tear into pieces, tossing away the stems. Ignore your significant other looking at you with that “please don’t make me eat kale” expression. Preheat your oven, line some rimmed baking sheets with parchment, and start tossing the kale pieces with a little bit of olive oil. Drizzle and toss until the kale pieces are lightly, and I mean lightly coated with oil. If you get them too coated with oil, they won’t cook up to lovely crispiness. Now spread them in a single layer on your baking sheet and sprinkle them with sea salt (as always, I love Maldon sea salt. LOVE.) 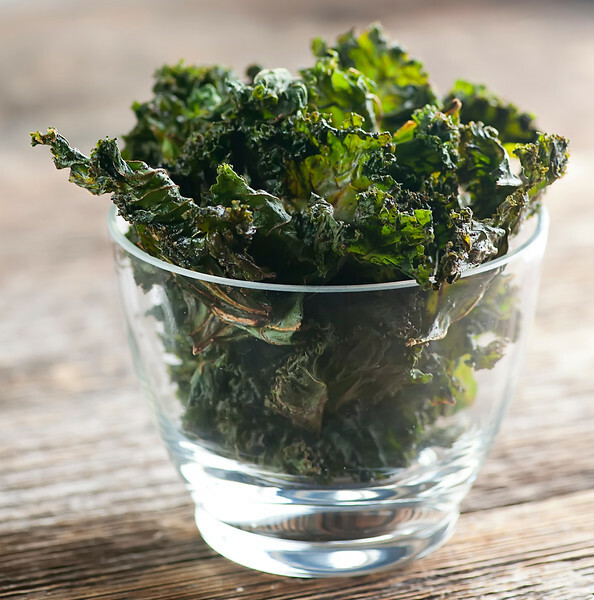 If you want your kale chips to have a spicy sassy flavor, you can also sprinkle on some paprika, or chili powder, or plain old black pepper. You be you with the kale…I like the plain salted version myself. Now bake them until they are crisp – usually about 15 minutes, but you can start checking after 10. Let them cool a little, and then start being a healthy snacker. Kale chip people of the world, unite! Preheat oven to 350 and line a rimmed baking sheet with parchment or a silicone mat. Depending on how big your bunch of kale is, you might need to do this in two batches. 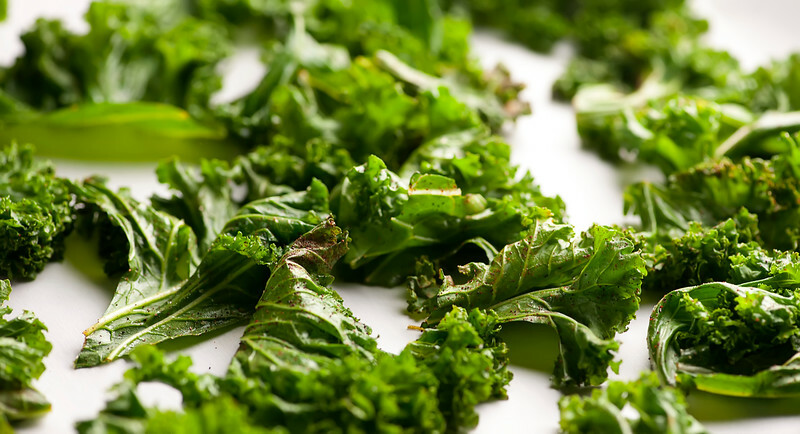 Place kale in a bowl and drizzle in half the olive oil. Toss with clean hands. You want the kale to be just lightly coated, so if you get there with just this much oil you can stop, otherwise keep drizzling and tossing until all the kale is lightly coated. Spread the kale on the baking sheet and sprinkle with sea salt. If you want your kale to have a spicy kick, you can also sprinkle on a pinch of pepper, chile powder and/or paprika. Cool and let the snacking begin! I make mine in the dehydrator with nutritional yeast on them. They are such a yummy and healthy snack! Ooooh, nutritional yeast – that is a genius idea. I’m trying that next!